Photo taken by a friend but I can't remember who! 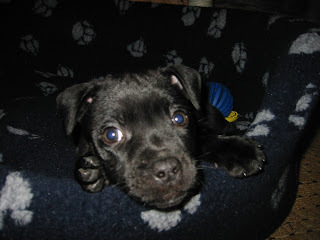 When Murphy was a puppy, he was the sweetest, cutest puppy you could possibly imagine....I mean it! 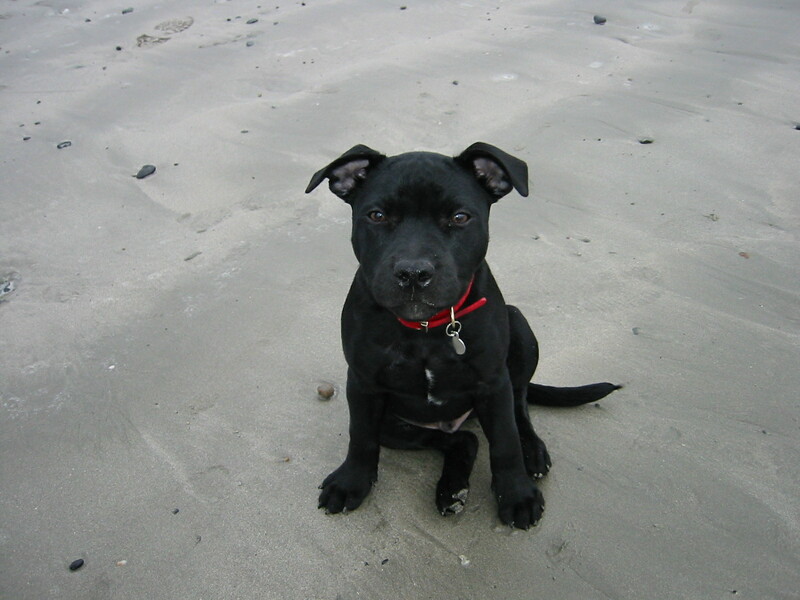 There is nothing more adorable than a Staffie puppy. They embody the very ideals of puppydom. All wobbly bums and wiggly bodies, shiny wet noses, fat little bellies and masses of enthusiasm. They think the world is purely for their benefit. 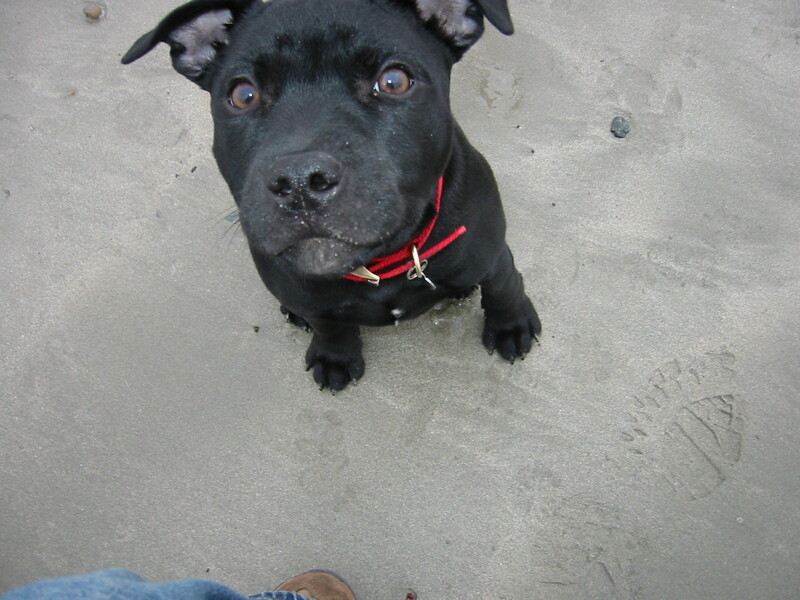 Whenever we went out, he would get lots of attention from everyone we met, kids would run over to pet him, adults would coo and ahh and Murph would relish being the centre of attention. A few years on Murphy still expects the same reaction from his public. He will run joyously to greet any people we meet on our journey (given the chance!) especially kids. Inside he's still that lovable pup and for some reason he can't fathom, he's not getting the same reaction anymore! It's taken me some time not to take this personally on his behalf, the suspicious looks, the grimaces and sometimes, hurtfully, the comments. 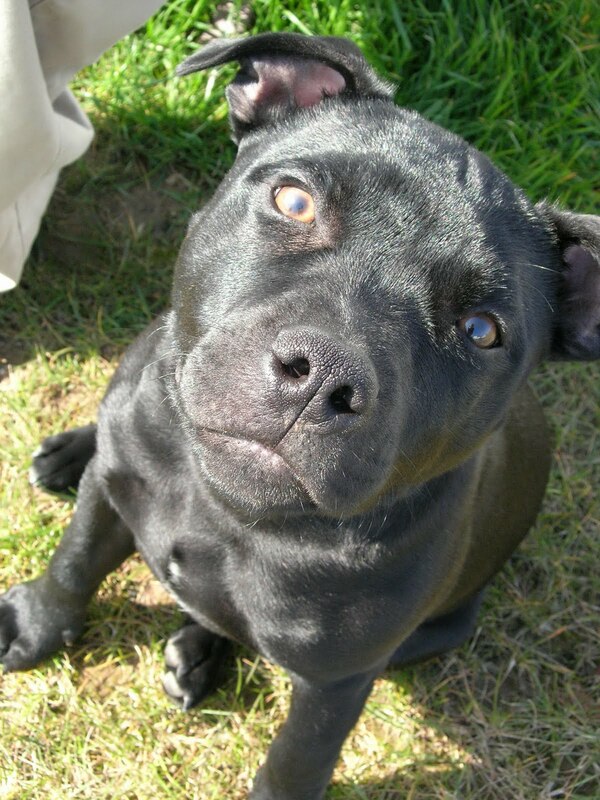 I wish people could see what we see: a beautiful, stocky, glossy doggie who 'smiles' every morning when he sees us, who is always up for a bit of fun and who is so good and gentle with Maisie. Since Maisie was born, Murphy hasn't gotten the level of attention he was previously used too. But he is so much a part of our family that I really couldn't imagine not having him around. He is the ultimate distraction and amusement for Maisie, on bad teething nights we have called him into the bedroom and watched her tears stop. She plays with him every day, laughing and running around with him shrieking with laughter, and I know he would protect her with his life if he had too. So thanks Murphy, I take you for granted most days but every so often I stop and think what a gem you are. 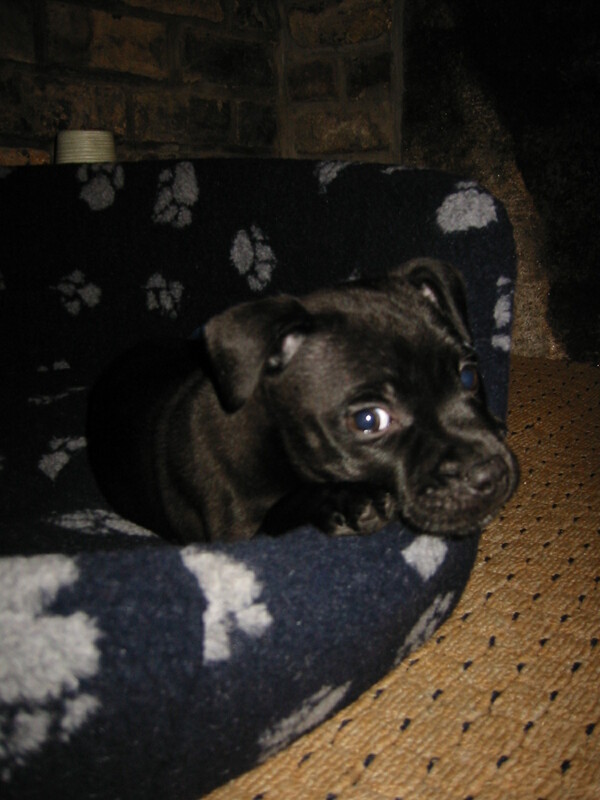 Ahh, he was such an adorable puppy and is still an absolute cutie. Murphy seems to be a "good boy" and a much loved member of your family. I hope to meet him someday! Cool pics of the wee man Murphy. Love them at that age!! !